July 7, 2012. 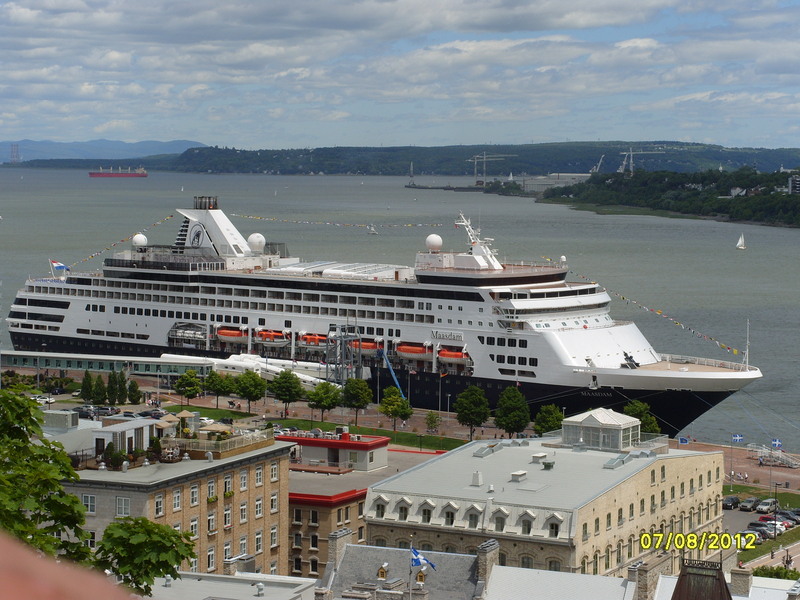 The MS Maasdam set sail from Montreal, Canada, for ports along the St. Lawrence River in Canada and New England. The seven-day voyage comprised a cruise with Contemporary Christian musician Michael W. Smith and his friends, including radio personality Sean Hannity and fellow music artist Jeremy Camp. Four servicemen and their families were selected for this special Poppy’s Wish Heroes Vacation. Marine Lance Corporal Christian Brown lost both legs and a finger last December when he was hit by an IED in Afghanistan. Despite his amputations and other serious injuries, Christian turned up ready for his nautical vacation with a troupe of support—his mother, sister, girlfriend, and a family friend. Corporal Jessie Fletcher, a sniper for the 1st Battalion, 6th Marine Regiment out of Camp Lejeune, stepped on a IED while in Afghanistan during his second deployment last year. 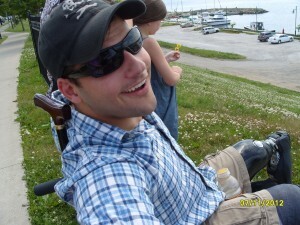 Jessie lost both his legs above the knee and several fingers. 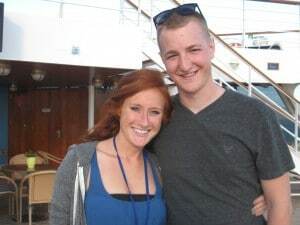 Upbeat and gracious, he was accompanied on the cruise by his fiancée, Emily. Army Captain Pat Horan was shot in the head while on patrol in Baghdad in 2007. He was reported to be dead, but ten surgeries and years of therapy later, Pat’s relearned how to walk, talk, read, and write. The first day of the cruise marked the fifth anniversary of his miraculous survival! He came aboard with his wife, Patty, and service dog, Wilson. Army Private First Class Heath McClung was presented with his vacation onstage at the holiday concert in Atlanta last December. In July 2011, Heath was in southern Afghanistan when he was hit by an IED that broke his femur and shattered his kneecap. He is currently undergoing therapy at the Fort Gordon Warrior Transition Battalion in Georgia. Today he walks with the aid of a cane, with his fiancée, Ali, by his side. 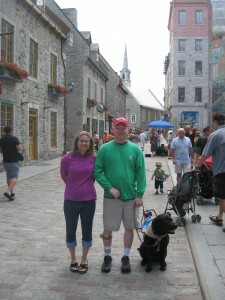 These four servicemen and their guests enjoyed sightseeing in Quebec City, Prince Edward Island, Nova Scotia, Maine, and Boston. In between stops were lavish meals, inspirational concerts, family-friendly comedy, and well-deserved pampering. And whenever military families come together, no matter what the event, there is always lots of storytelling and esprit de corps. During their week at sea, our heroes came to transcend their physical injuries and heal some of the wounds that are not so visible, and yet inevitable for our soldiers returning from war.